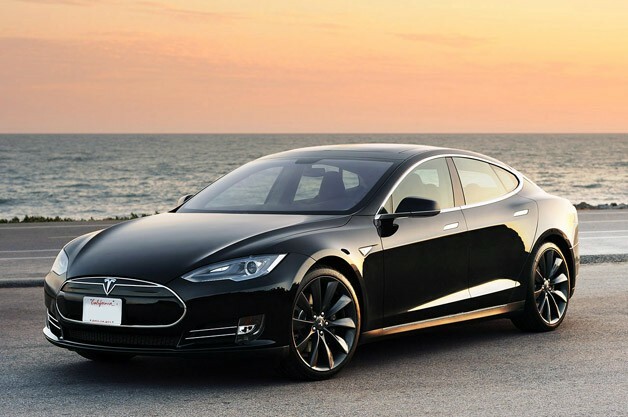 If you have spoken to me about investments, you would know that one of my favorite companies is Tesla Motors (TSLA) If you haven’t, here is why. First of all, you may be wondering what Tesla Motors is. They are the world’s first 100% electric car company. Their flagship car, the Model S goes 300 miles on a charge, much higher than any of their competitors. Not to mention the highest end version has a 0-60 of 4.4 seconds. They have pioneered new electric cars, and they are now shipping the Model S. They also are using a new sales model, which involves the car being ordered online and delivered to the owners’ house, eliminating dealers from the equation. They are setting the bar for what a car company can be, from the ground up. That’s all fun and games, but we are here to talk about investments. This is a full time chart of Tesla since IPO, it’s up about 100%, pretty good. It becomes interesting when you look at their earnings. It is pretty expensive to start a car company, and they are relatively new. As you can see by the red line, Tesla has been operating on a net loss for quite some time, a loss that was getting larger until about Q2 2012. Luckly, this trend has reversed into Q3, but Tesla has a long way to go. Here is the Tesla balance sheet, showing a relatively high debt to assets ratio. If I could sum their earnings up into one word: Eww? This relies on the amount of cars that Tesla can produce and send to buyers. This number needs to be above 200 cars a week (In Q3 of 2012 they only shipped a total of 253 cars). While I wish the best for Tesla in the short term, I think it is important to also have a look at what could happen in the long term. While Tesla could go bankrupt or become a successful car company, every analyst I have spoken with agrees on the same thing. They will be acquired. The question is, who will it be? Both Toyota and Daimler AG (Mercedes) own stakes in the company, and Tesla is working with them to develop electric versions of their cars. While Tesla cars are cool, their battery technology and software is potentially worth hundreds of billions of dollars. It destroys the competition. The bottom line: Tesla is a company that probably will end up getting acquired, which would probably make it a good buy if you want an M&A stock. Pay attention though, their earnings report next week will be very important, and it may give you a good buying opportunity. What happens to the Tesla stock if the company is acquired? The board would approve a stock purchase, which would force everyone to sell their stock for significantly higher than the price it is currently trading at. I mean like 30%. For instance I owned ELOQ, which got purchased for 32% more than what it was trading at, so it jumped from like $26 to $35 in one day.